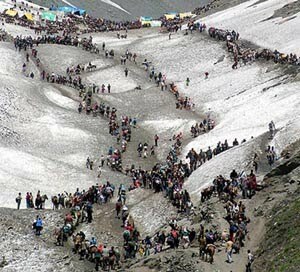 Amarnath is the place in India with full of exciting spots. A famous temple of Lord Shiva is the situated at this place. This is a holy place of India where the natural Shiv Linga created every year with snow. This Linga is created by nature itself. That is the reason this temple is opened for particular time period. The temperature of this place in winter season goes under -0 degree and it’s not possible to stay there at that season. This temple is in the amaranth cave. It is a place of worship for Hindus. It is the temple having big history behind and it is 5000 years old temple. This hill temple is located in Jammu and Srinagar state, India. It’s having an important place in Hindu ancient mythology. 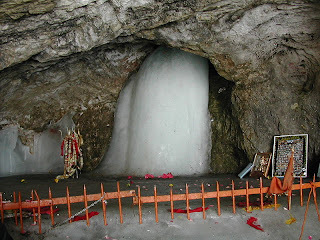 The Ice which lies in the cave resembles lord Shiva’s linga. It gets wax during May to August. This temple is having a big importance as according to Hindu Mythology Lord Shiva told the details about the life to his wife Mata Parvati. This secret of life is to stay alive ever. Once you visit the temple you will find two ice formations which represent Devi Parvati and Shiva’s son Ganesha. This temple is situated at 3888 meters away from sea level. It’s at the good distance of 141 km from Srinagar. The C.R.P.F, Army (Indian base) with Indian Paramilitary Forces maintains a burly existence in the area to provide the security to visitors. 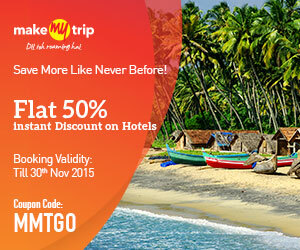 This place is a holy one for Hindus and around 400000 people visit here during the season of 45 days. This season starts from Shiv Ratri Mohatsava in July-August. This complete period is called as Shravan Mas. Devotees have to cross the 45 km distance by foot from Pahalgam as there is no such transport facility due to dangerous paths. It takes around 4 to 5 complete days to cover the journey of one side. No need to worry you can go through horse-riding as well. They horse rider will charge you for the services. It could be the easy way to reach there. One thing you should keep in mind and that is terrorist attack issues. This place is little disturbed with these attacks due to Pakistan and India board situation. 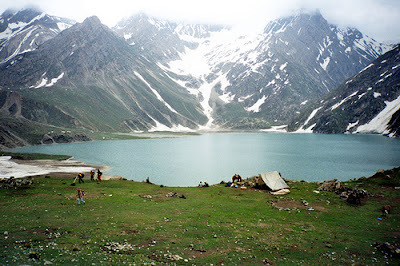 To reach this holy place you have to first reach at Jammu & Kashmir railway station and from there you will get the sources like bus to Pahalgam. From there you have to cross the way through foot. You can also go by air to Srinagar and from there you can hire the bus to Pahalgam. 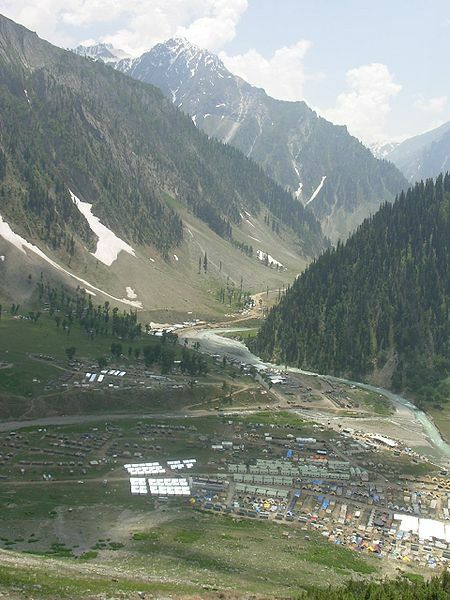 First reach Pahalgam and from there you have to move towards Chandanwari (it is 16 kms away from Pahalgam and you can cover this distance through mini busses). Next stop is Pissu Top (a one climbs height to reach Pissu from Chandanwari). Then you will reach to Sheshnag place. It is again 12 kms away from Pissu Top. 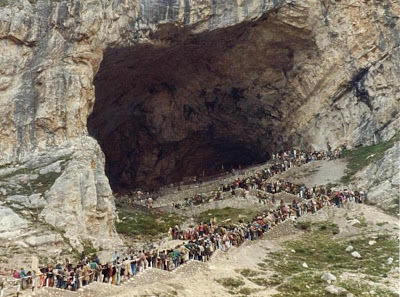 Then comes is Panchtarni, now the caves area starts and you have to cross them very carefully. Then you will reach the cave of Amarnath Temple.